A tide of talented and good looking actors has struck Bollywood but still there is one man who always stands out; he is none other than the ‘Badshaah of Bollywood’ ‘King Khan’ aka Shahrukh Khan. Women just love ‘King Khan’ for the way he romances with his leading ladies on screen. The way he romances, his style and his feelings cannot be depicted by anyone else in the Industry. His every action is mesmerizing. King Khan did receive appreciation for portraying villainous roles like that in Darr and Baaziger but his fame is credited to his romantic films more like Dil Wale Dulhaniya Le Jayenge (DDLJ), Kuch Kuch Hota Hai (KKHH), Veer Zaara and Kabhi Khushi Kabhi Gham. Several young girls still hold on to posters from DDLJ. His most significant release was the romantic ‘Dilwale Dulhania Le Jayenge’. Lauded by both critics and the public, it became the year’s highest grossing production in India and abroad as it was declared an “all time blockbuster” by Box Office India. It is the longest-running film in the history of Indian cinema; it is still showing at the Maratha Mandir theatre in Mumbai after more than 1000 weeks. SRK’s performance in musical romance film, ‘Dil to Pagal Hai’, won him his 3rd award for best actor at Filmfare and critical admiration. His rebellious alcoholic lover role in Devdas made him and production collect US$12 million worldwide. ‘Kuch Kuch Hota Hai’ his another romantic film earned a label of ‘’potpourri’’ of romance, comedy and entertainment. 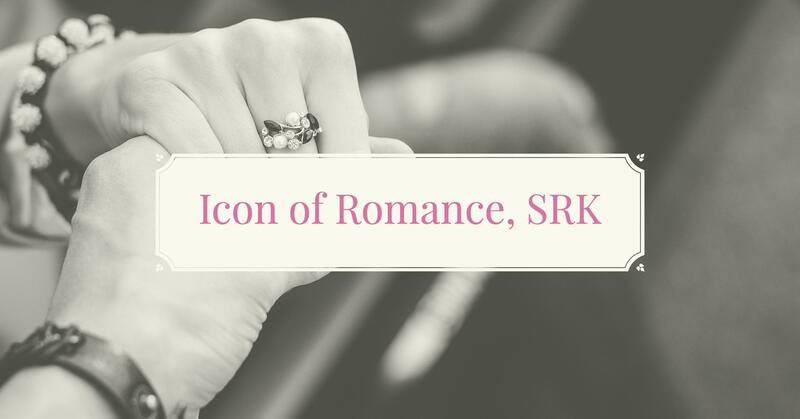 Although he made his name in other genres of acting but his romantic roles stand outs from other big stars of the industry and these romantic roles are the reason why he is called the ‘King Khan’.